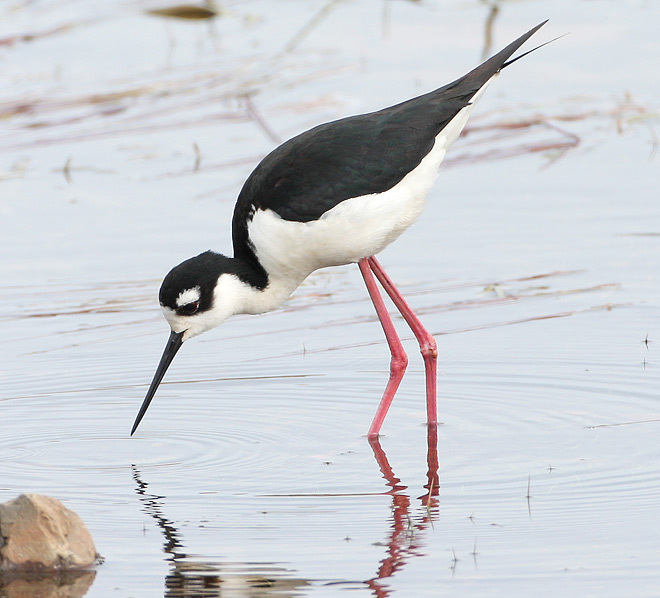 This Black-necked Stilt at St. Shott’s in spring 2008 was the third record for Newfoundland, but the first to be enjoyed by local birders. Origins: Occurs in wetlands and coastal areas from California east to Florida and south to Peru and Brazil. Record Details: Three confirmed records for Newfoundland. (1) The first record was a specimen collected from Biscay Bay on June 23, 1947. (2) More recently, one was spotted at Ramea on October 27, 2005 (following Hurricane Wilma). (3) Another bird was observed and extensively photographed in St. Shott’s from May 31 – June 8, 2008. A compelling but unconfirmed report also came from Branch (southwest Avalon) in late April 2002.